Norms of the society can be effortlessly disobeyed and tradition can be denied at any time and degree. But when love comes in between two hearts parted by chances of distance and maps, every little thing can be a trade-off. Clearing off the parameters of the relationship is a priority for it creates assurance to your partner let alone the desired security. But how can really be a long distance relationship so gratifying in the longest term of running? There is chemistry in every beautiful couple but is there a chemical formula for that? There is spark in every touch of the hands but is there any color-of-a-happy-ever-after-kind-of fireworks in the end? There is a thumping in the heart when you see your significant one but is it a declaration of your immunity from heart attack? While waiting for a month of not blogging anything, I thought of some ideas colourful to paint on the vibrant circumstances of a long-distance relationship that I have personally learned through time. ONE. Never enter if you can’t handle it. Akin to transferring places and cities for a better future away from your comfort zone, starting a long distance relationship is a leap of faith. If you can’t handle it again, don’t go for it because it won’t work out. TWO. Investment. A bus ride or an airplane won’t pay for itself. It rather depends on your finances but investing on something that will make you happy forever won’t be a financial and emotional suicide. THREE. Have the same goal. Try to find creative bonds. 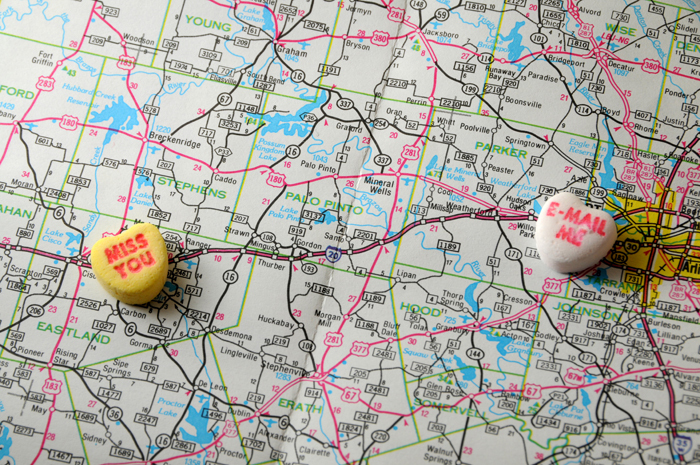 Chase common interests, even if it means pursuing them apart because of the distance. And one best goal is that at the end of a crazy day, week, month or year, you will end in each other’s arms. FOUR. Maximize communication. Communication is the only channel you have. Texting is relative and sometimes in delay, so arrange your overthinking frequencies and find time to talk over the phone daily. FIVE. Don’t doubt. Never ever doubt. Doubt is an essential preliminary of scientific discovery but doubting the person you love and the relationship show that no science can ever cure that. I have not included cheating and tendencies because in the first place, before the number one aforestated, and if you enter a relationship formed out of any chances, cheating is, has always been and must be alien. So defy distance and have a happy-ever-after with chemistry and fireworks included.